Israeli forces invaded the southern West Bank village of Al-Asakra on Monday , near the city of Bethlehem, Palestinian security sources said. The sources told Ma'an that Israeli troops broke into home of Fuad Dar Ali. Although Dar Ali was not home, the soldiers delivered a document ordering him to appear at the Israeli intelligence station in the Eztion bloc of Israeli settlements. The military wing of Islamic Jihad, the Al-Quds Brigades, claimed that their fighters fought with undercover Israeli forces who attempted to enter the Gaza Strip near the Kissufim military installation on Monday morning. The Al-Quds Brigades said they fired rocket-propelled grenades at the Israeli troops, who were forced to withdraw. 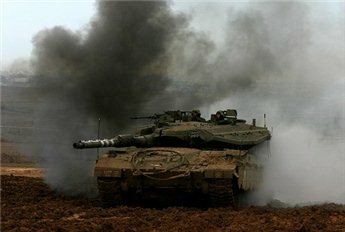 Israeli tank fire and air strikes left two Palestinian fighters dead in the northern Gaza Strip overnight on Saturday. Palestinian medical sources said that the bodies were found hours after the attack, east of Jabalia. Ambulances failed to reach the two fighters in time, and they bled to death, medics said. 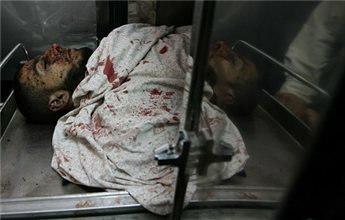 The medical sources named the victims as Rabea Muhsin and Murad Khadir, both activists with the armed wing of Fatah, the Al-Aqsa Brigades. 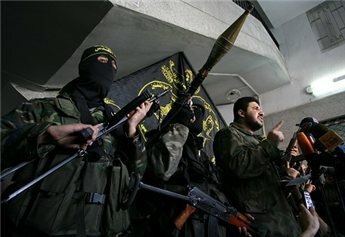 The Al-Quds Brigades, the armed wing of Islamic Jihad, claimed that their fighters confronted Israeli forces that entered the West Bank town of Qabatiya, near the city of Jenin on Saturday. The group's spokesperson said that Al-Quds Brigades fighters threw grenades at Israeli forces who invaded the town from several directions. The spokesman said at the conclusion of his speech that the Israeli forces withdrew from the town without arresting any fighters or civilians. 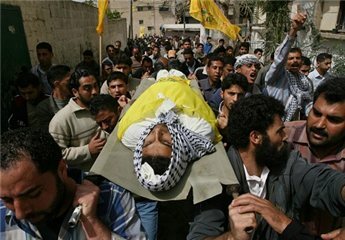 Israeli forces shot and killed a Palestinian teenager in the northern Gaza Strip on Friday night. A medical crew succeeded in retrieving the body of the 18-year-old and transferring it to Kamal Udwan Hospital in northern Gaza. Mu'awya Hassanain, the director of ambulance and emergency services in the Palestinian Health Ministry said that the body had been shot dozens of times. Health Ministry officials are still waiting for Palestinians to come forward and identify the victim. Separately, Israeli forces shot a 23-year-old farmer in the town of Khuza'a, in the southern Gaza Strip, near the Israeli border wall. The victim was a member of the Qudeh family. The Israeli military recently enlarged the "Buffer Zone" inside the Strip along the border with Israel. Palestinian are now forbidden from approaching within 800 meters of the border. Israeli soldiers shoot at Palestinians, including farmers tending their land, who enter the border zone. Israeli forces were also reported to have arrested several Palestinians in Khuza'a on Saturday. Israeli Special Forces failed to arrest a man they describe as 'wanted' in Tulkarem refugee camp in the northern West Bank on Friday. Eyewitnesses told Ma'an that 31-year-old Nihad Mer'i managed to evade the Special Forces by escaping from the camp shortly before undercover unit arrived in a civilian car. According to witnesses, an Israeli military force backed up the undercover unit and stormed the area, discharging sound bombs as the undercover unit withdrew. Israeli undercover units have recently been increasing their activities in Palestinian cities, targeting 'wanted' Palestinians. An Al- Qassam Brigades activist was killed and two others were injured at dawn on Friday during clashes with Israeli special forces near the Kissufim military base, east of the town of Al-Qarrara in the southern Gaza Strip. Dr. Muawya Hassanain, director of ambulance and emergency services in the Palestinian Ministry of Health said that the dead man, 23-year-old Bilal Al-Astal, and the two other injured men were taken to Nasser hospital in Khan Younis. A resistance group calling itself the Nation's Army said on Friday morning that their fighters had also targeted three Israeli soldiers south of Kissufim. "The attack came in response to the drawings which insult the Holy Prophet and crimes against Muslims in Jerusalem," the group said in a statement. An Israeli woman from the Tappuh settlement near Qalqilia in the northern West Bank attacked a Palestinian woman as she waited for a taxi by the side of the road on Thursday. 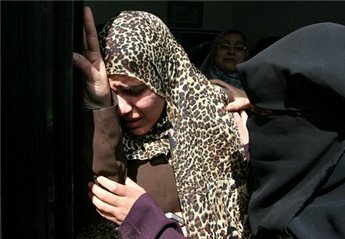 Rawda At-Tabib was attacked as she was on her way to work in the Bureau of Social Affairs in Salfit in the northern West Bank, she told Ma'an. She explained that the Israeli woman suddenly began hitting her with a club whilst uttering a stream on invective. Israeli soldiers came and took away the settler. According to Palestinian medical sources in Qalqilia, the Palestinian woman sustained serious bruises to her leg. Israeli forces stormed in several areas in the northern West Bank district of Tulkarem on Thursday morning, Ma'an's reporter said. Our Tulkarem reporter said that an Israeli infantry unit stormed the towns of Anabta and Bal'a in eastern Tulkarem. No arrests have been reported. He added that another Israeli force closed the track road between the towns of Bazaria and Ramin using a military bulldozer. Israeli forces on Wednesday stormed the West Bank town of Qaffin, north of the city of Tulkarem, and seized five Palestinians including two Islamic Jihad fighters. Local residents said that Israeli forces raided several houses before arresting 17-year-old Amal Harsha, 26-year-old Muhammad Ammar, 27-year-old Jamil Khatib, and two Islamic Jihad activists, 21-year-old Kahlid Ajjuli and 20-year-old Rashwan Ajjuli. Israeli forces raided the northern West Bank city of Jenin on Wednesday and ransacked several residential buildings, commercial complexes, and charities amidst heavy gunfire. Local sources told Ma'an's reporter that more than 15 Israeli military vehicles entered the city and stormed several buildings, breaking doors and damaging the contents of shops, apartments and charities. No casualties have been reported. Twenty-four-year-old Palestinian activist Mahmoud Abid Rabbu died on Wednesday in an Egyptian hospital where he was being treated for serious wounds. The Islamic Jihad's military wing, the Al-Quds Brigades, said that Abid Rabbu was one of their fighters who was injured during a massive Israeli incursion in the northern Gaza Strip in late February. Abid Rabbu was from Izbat Abid Rabbu, in the northern Gaza Strip. 120 Palestinians, most of them unarmed civilians, were killed in the five-day Israeli incursion. Due to the high number of casualties, Egypt opened the Rafah border crossing to allow wounded Palestinians to be treated in Egyptian hospitals.